Sarah is an accomplished polymer clay artist and teacher who graduated from the University of California at Davis in 1983 with a bachelor’s degree in art. In 1986 she was employed in a fabric and art supply store in San Francisco where she first began working with polymer clay. Since 1989 she has been working full time out of her home/studio in San Rafael using the millefiori, or caning technique to make intricately patterned beads, buttons, and jewelry. Her background in textiles is evident in her designs, which were described in an Ornament Magazine review as “meticulous, delicate, and elegant”. Sarah has been recognized as a pioneer and master of her craft and has participated in a number of juried and invitational exhibits and shows. She loves to teach and has taught all over nationally in the U.S. and internationally including Israel, France, and other European countries. Her work can be seen at www.sarahshriver.com. Sarah brings her expertise with intricate caning techniques to Maryland for the tenth year in a row. 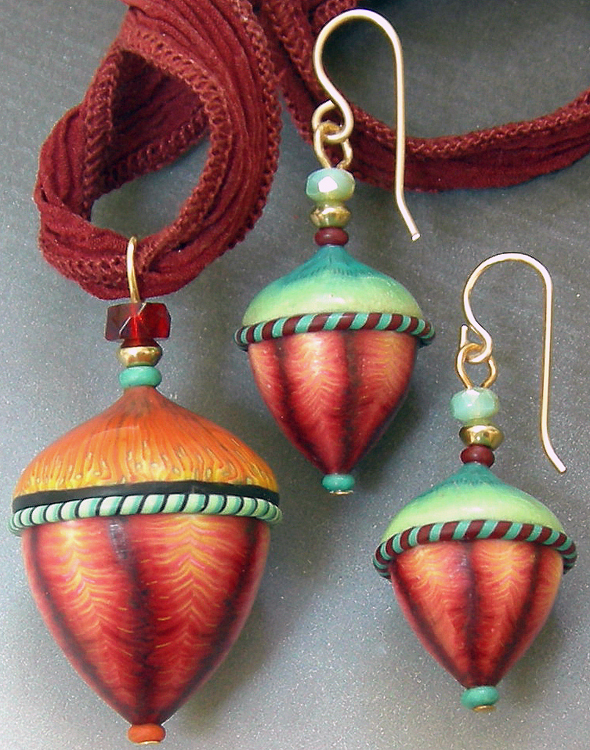 At CFCF 2013, she will be teaching two workshops: a pre-conference workshop with a twist – her very popular kaleidoscope canes, and two 4-hour conference workshops on her new adorable little Acorn Earrings and Pendant. Don’t miss this opportunity to see Sarah again! Download registration forms here and detailed workshop information here. 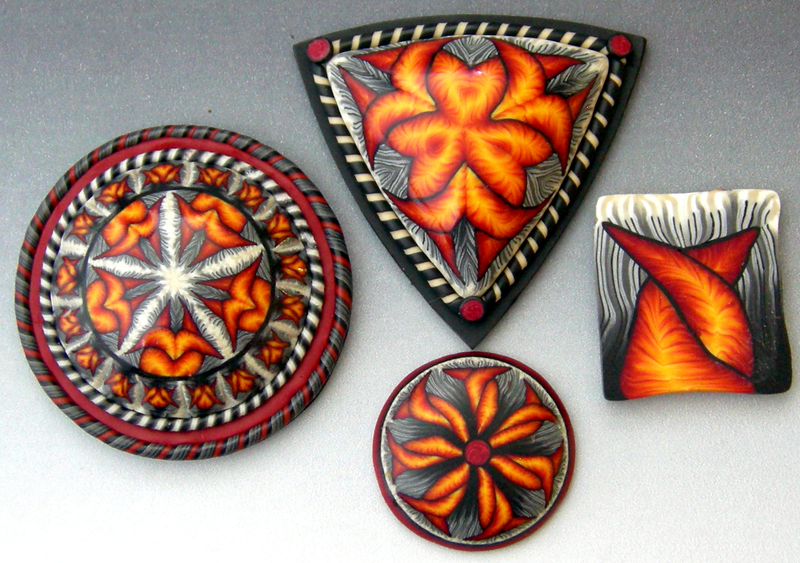 In this full day class we’ll make a couple of stunning brooches and/or pendants using Skinner Blends and my “Kaleidoscope“caning techniques. A simple new graphic with a “twist” gives us lots of depth and contrast to work with. For even more color diversity I’ll encourage you to switch an element with a neighbor and watch the kaleidoscopic patterns emerge! I will show you a number of ways to build up a spectrum of intricate patterns using the original graphic at different scales. We’ll apply cane slices to cabochon forms before adding a different kind of twist to finish them off. I love these sweet little shapes! Using manipulated Skinner blends to cover molded shapes, we will be able to construct this adorable set of chubby little acorns. You can mix and match tops and bottoms to get a wide variety of color combinations and set them all off with contrasting twists, dots, and beads. If you are feeling adventurous, you can trade with a neighbor to bring in an even wider color variation.